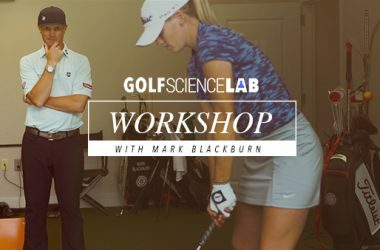 We sit down with our friends from Golf OTEC to dive into practice and help one Golf Science Lab listener improve their practice sessions. Golf OTEC’s 1st course ‘The Constraints-led Approach – Theory into Practice’ is a 12-week course that starts on Feb 15, 2019. Video lessons will be released every two weeks to open up discussion and debate whilst supporting your learning via group webinars and Golf OTEC’s discussion board. Use the coupon code “GSL” to get an awesome discount. 11 Handicapper, 51 years old, started golf in 2011. I usually do only have the weekend to practice and play. Usually one day practice + a few holes and one day 18 holes usually with my wife who also plays golf. Winter here in Germany so here is what my usual Winter range session usually looks like. – 10-15 relaxed Pitches 50-70m towards various objects on the range with a 60 or 54 wedge, target is to get into a 5m circle around the object. I want that to feel effortless. 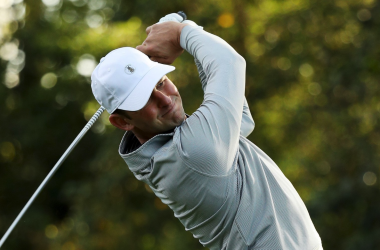 – I continue with Pitching Wedge and 9i until I think I am finally warmed up and have a feel for the ball. Trying to hit it straight to a target. – I tend to hit towards the heel a lot so I set up the Ball close to an object (tees, or other balls etc) and try to hit with the toe. – When dry outside I put tape on the clubface and try to hit alternating toe, middle, heel. 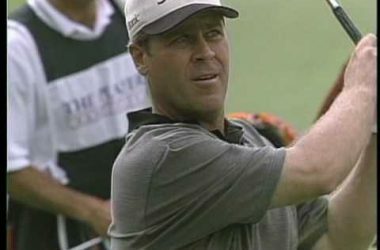 – I try to hit it flush after hovering above the ball. – I place the ball extremely towards lefts or right foot and still try to strike it well. – Based on input from our Club Pro I focus on improving a few of my bad swing habits: I tend to stand up in the backswing raising the arms really high. At impact hips are hardly open. So basically I focus on keeping hands lower, squatting a bit towards to end of the back swing in order to move up at impact and turn, turn, turn. I am a bad driver off the tee, lots of off-planet shots, and therefore I try to hit ten consecutive drives into a 30m wide imagined Fairway… basically the middle of the range. One miss and I start again… no more than 20 mins. 20 mins alternating shots – short, medium, long distance, i.e. wedge, 5i, Driver or similar. Always callout shape and height first (not for the short pitches). Each shot a different club. In the summer I sometimes switch this session with a fairway bunker session during which I mainly focus on hitting the ball first. This should be about two hours. Don‘t get me wrong. I am 11 handicapper so I do come up with mishits a lot. Sometimes that’s difficult and I get quite gutted. Anyway… I promised myself to buy new clubs when <10. so that‘s the long term goal. When the short game areas open in spring, I cut down on the long game and try to do 80 mins long game and 40mins short game. 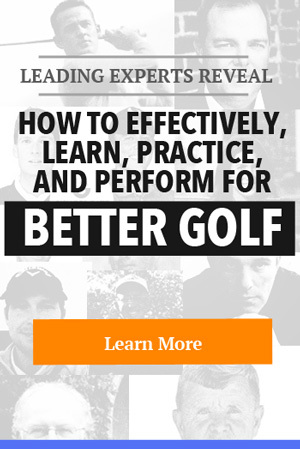 Through years of practical application and research, Peter’s views are radically different to the mainstream golf industries and may challenge some long-held beliefs. Peter fuses the ‘The Science of Learning’ and real-life coaching to help you discover a clear understanding of how to practically apply research into practice. 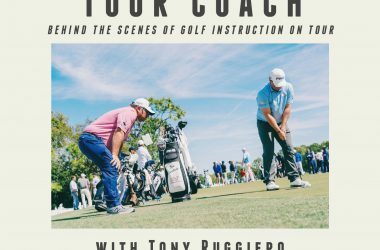 Peter has a Masters by Research (in viva stage) in Skill Acquisition & Motor Learning primarily examing, via a constraints-led framework, the experiences of current and former European Tour Players, enabling Peter to share these experiences with players of all levels. He has coached players of all levels, from complete beginner to European Tour player. He also advises and mentors coaches all over the world and has recently branched into other sports, such as the Rio 2016 Gold winning field hockey U.K. Women’s team on effective practice & technique change. He has also spoken at the English Institute of Sport, World Scientific Golf Conference & several universities on how he practically applies the ‘Constraints-led framework’ in golf. 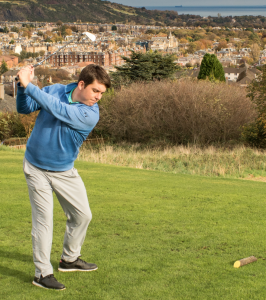 Graeme has an MPhil in Sports Coaching from the University of Birmingham and is a full-time Golf and Sports Coaching lecturer at the SRUC in Scotland. He is also an associate lecturer and a PhD researcher at the University of Abertay Dundee. 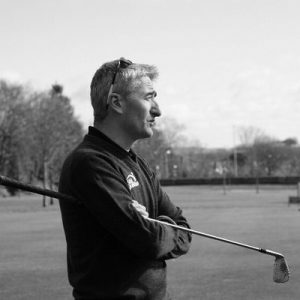 His main area of research is skill acquisition in sport and as well as being a practitioner in this area with the high-performance golf programme at the SRUC, he has worked with coaches in rugby and football. Graeme is currently involved with some of the world’s leading experts in non-linear pedagogy, in a project aimed to bring coaches, academics and education professionals together to raise standards in player development. Ed qualified as a sport scientist before specialising on the concept of practice-transfer in his PhD research. Having grown up around golf, it is only in recent years that Ed has returned to the game as a practice coach. His work as a skill acquisition specialist with elite athletes across many sports heavily influences his coaching philosophy. Ed works to create stimulating practice environments that challenge players to engage and problem-solve as they would in competition. He works in professional golf as well as the elite amateur domain. His research interests at Cork Institute of Technology revolve around skill acquisition and coaching science. 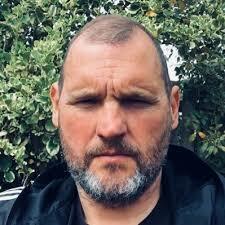 Ian has worked in sports coaching his whole life and combines that with his day job working at Queensland University of Technology in Brisbane, Queensland, Australia where he is the lead for the Sport, Health and Physical Education Discipline. 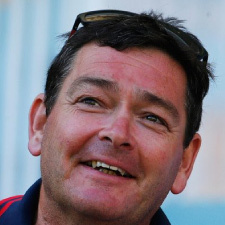 As a coach, Ian has particularly specialized in cricket, but has also coached soccer and university level and junior representative level rugby union. 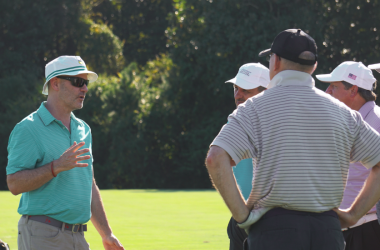 Ian is one of the leaders in the field of constraints-led approach to coaching. 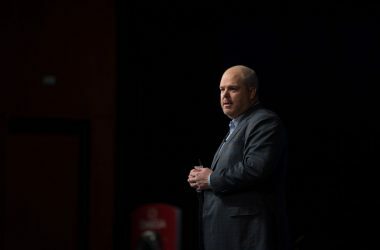 He has written many articles on this subject and is currently leading a new book series that will focus on how to apply the constraints approach in specific sports. Ian is passionate about improving coaching and has worked with many sports organisations in helping them develop more effective skill acquisition programmes, notably Cricket Australia and New Zealand High Performance Sport.